Their most well known song amongst garage fans is the Fabor Records release 'In The Cover Of Night' that has surfaced on a couple of compilations over the years. Much more obscure is their other offering on N-Joy Records from the back end of 1967. Don Griffin and Jerry Strickland may have been based in Louisiana but I've got no substantial evidence to back that up. It was a West Monroe, La label that released 'Better Run And Hide' / 'Too Much Confusion' so maybe I'm not too far off the mark. 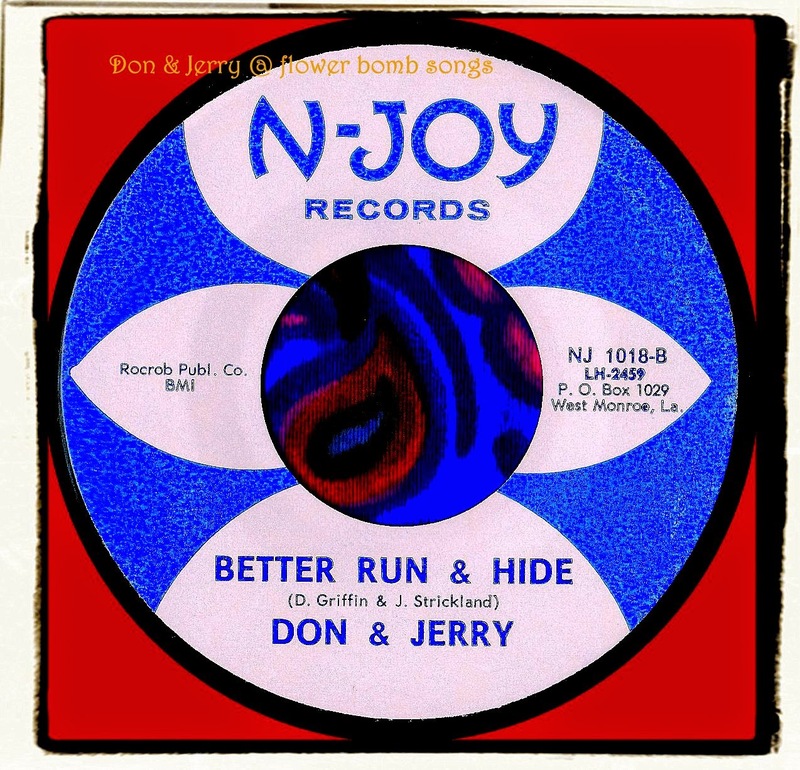 'Better Run And Hide' is a fast paced strummin' beat tune than is still clinging onto folk-rock. Folk-beat is probably the best phrase to describe the music. The flip is also decent enough and sounds like they'd been listening to The Rolling Stones hit 'Mother's Little Helper' quite a bit. Both sides as far as I know have never caught the compilers notice.